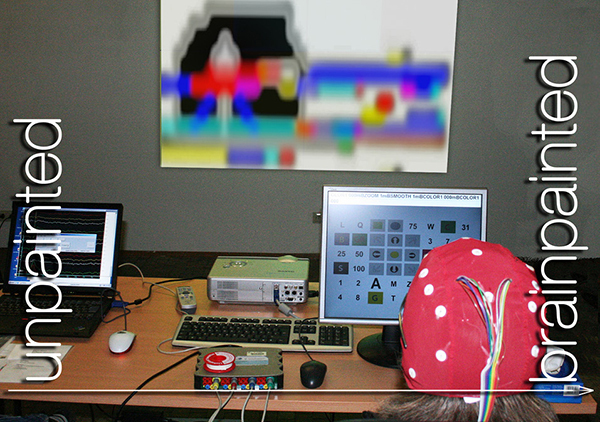 Brain Painting is the brain child of Adi Hoesle, who developed this technique together with Prof. Dr. Andrea Kübler, Universität Würzburg. 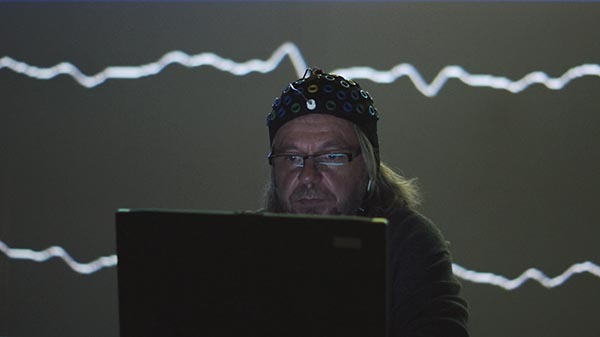 It allows for translating thoughts into paintings by means of decoding brain signals recorded via electroencephalography (EEG). More specifically, it uses the so-called P300 component in order to decode the intentions of the performing artist. The technique has been demonstrated at various international conferences, such as the renowned SIGGRAPH conference or BCI meetings. Besides raising fundamental questions about the nature of art and how art may continue to progress in the 21st century, it has very practical applications: It allows patients who cannot, or only very hardly, communicate with the rest of the world to express themselves. For example, ALS patients or patients with the so-called Locked-In Syndrome can now engage in artistic activities, which is an unprecedented improvement in their quality of life. 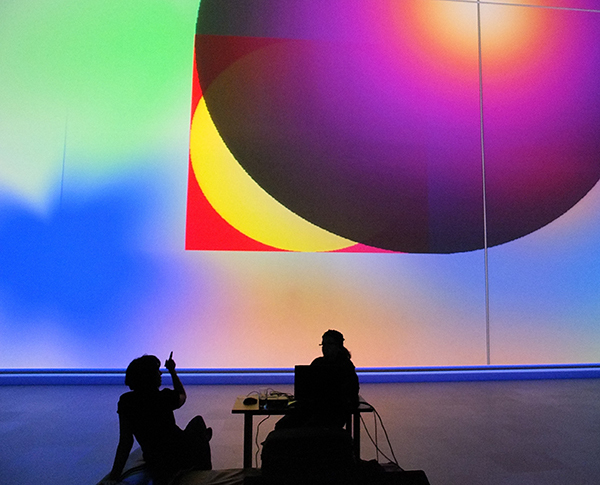 Brain Painting is further developed and applied in the group of Prof. Dr. Andrea Kübler, and new technical development and generalizations (such as to Brain Dancing in Virtual Reality) are addressed in the Pingo Ergo Sum Art Research Lab headed by Prof. Dr. Lars Schwabe. Brain Painting is a central component of the Pingo Ergo Sum project as various artists will exercise it, so can visitors of the exhibitions in Rostock and Linz. See brain-painting.com for more details.